Mirror photo by Russ O’Reilly Carl Shaffer (right) watches his son Colin, 6, descend the porch steps of their new home at 1814 Third Ave., which is the latest home built by Blair Habitat for Humanity. After a year and a half of construction, work is complete on Blair Habitat for Humanity’s latest home at 1814 Third Ave. The house was built by volunteers, including the owner, Carl Shaffer, and his father. “It was overwhelming. Me and my dad built this house together. 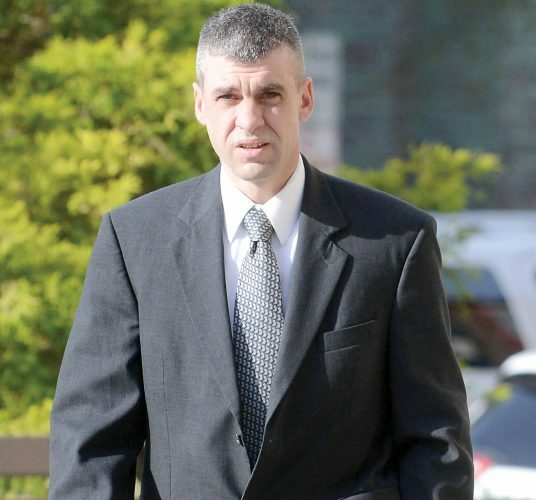 It’s words you can’t explain,” Shaffer said. On Saturday, Shaffer’s wife, Nicole, and their two children — Colin, 6, and Andrea, 8 months — gave tours of the home to city officials, including city councilman Dave Butterbaugh. 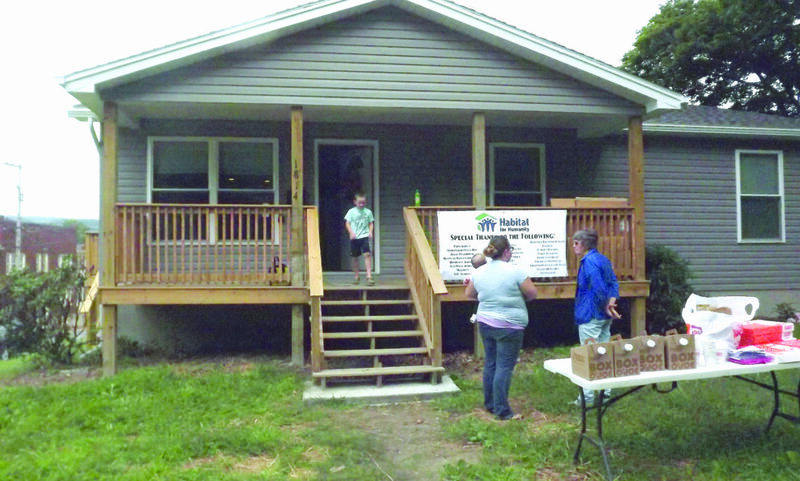 Habitat for Humanity Blair County is part of a global, nonprofit housing organization. According to the Habitat web site, the Blair chapter is dedicated to eliminating substandard housing locally through constructing, rehabilitating and preserving homes; by advocating for fair and just housing policies; and by providing training and access to resources in order to help families improve their shelter conditions. Those receiving a home are required to invest “sweat equity” as they work on the home along with volunteers.